Tiruppur (Tamil Nadu) : Prime Minister Narendra Modi on Sunday hit out at the opposition alliance, questioning why they were combining against him when they claim his government was a failure. Referring to the coming together of opposition parties of various hues, Modi, addressing a rally in Tamil Nadu’s Tirupur after inaugurating a slew of projects, termed them an “adulterated alliance” and a “club of rich people” to promote a dynasty. Nobody knows the agenda of the opposition alliance and they don’t have worthwhile answers to any question, he alleged. “The only answer they have for all the questions is ‘ask Modi’,” he said. Citing cases against opposition leaders, he said after the availability of family pack ice creams and mobile telephony packages, it is “now the turn of family pack jail”. Alleging that the opposition was good at spreading panic and misleading the youth, farmers and other sections of society, the Prime Minister said that for a long time the opposition parties had created tension in society on the issue of social justice. “For us, social justice is an article of faith and not a mathematical formula, the way it is for the opposition parties,” he said, adding that it was the NDA government led by Atal Bihari Vajpayee that restored reservation in promotions for the SC/STs, a privilege that was scrapped by the Congress-led UPA government at the Centre earlier. Referring to his government’s decision to provide 10 per cent reservation to the economically backward sections, Modi said the move aims at equality of opportunities to all and would not affect the existing reservation for SC/STs and Other Backward Classes. 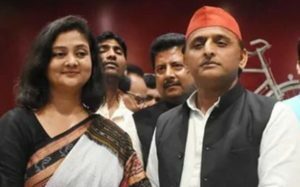 He criticised the Congress’ farm loan waiver scheme saying that it would not benefit anybody but would result in an extra burden of Rs 50,000 crore, while his government, for the first time in India’s history, had announced a Rs 6,000 per year income scheme for farmers’ holding less than five acres of land. When the scheme was announced in Parliament the opposition parties were left shocked, he added. Modi said the work culture of his government is vastly different from that of the earlier Congress led one. He stressed his government has zero tolerance against corruption, and is providing “Kamaraj Rule” or corruption-free rule, like freedom fighter and veteran leader K Kamaraj who provided a clean government as Tamil Nadu’s Chief Minister. 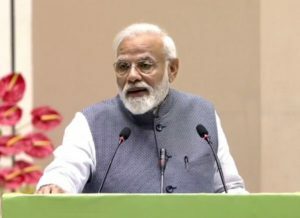 The Prime Minister said no middleman roam around in the corridors of power now, which was not the case with the earlier Congress-led governments. He said the government has struck down various bogus companies and bogus beneficiaries of various welfare schemes. Without naming him directly, Modi took a jibe at former Union Finance Minister P.Chidambaram as “recounting minister” and said the latter is of the view that all the knowledge in the world resides in him. 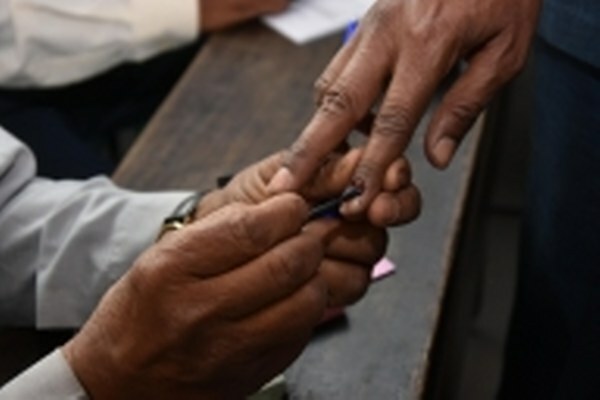 In 2009 Lok Sabha polls, Chidambaram was declared a winner after a recount of votes. Modi accused those who had the opportunity to rule the nation for long of not bothering to modernize the defence forces and being more interested in deals in import of defence equipment. He also alleged that every middleman had a link with some Congress leader or other. 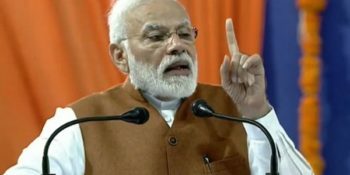 Modi said his government wanted India to be self-sufficient in defence equipment and has set up two defence industrial corridors, including one in Tamil Nadu to provide jobs and opportunities for the youth. Modi said his government’s goal is to improve the ease of living for people and cited the proposed expansion of Tiruchirappalli International Airport that can handle about 3,000 passengers at peak hour from 500 passengers now and the ESIC Hospital to come up in Tiruppur. He said that a historic pension scheme for workers in micro, small and medium enterprisesin Tiruppur and elsewhere was announced in the recent budget. 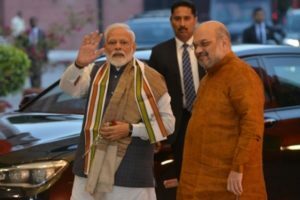 Modi was on a day-long visit to Tamil Nadu, Karnataka and Andhra Pradesh for the launch of several developmental projects as well as his poll campaign. His visit to Tamil Nadu saw a black flag protest led by MDMK leader Vaiko. Vaiko and his supporters were detained by the police as they released black balloons in the sky and shouted “Go back Modi” near the railway station.